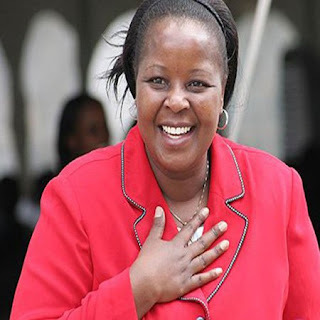 ''I was involved in satanism and witchcraft,'' Bishop Margaret Wanjiru confesses! Prophet Dr. Kanyari (that’s how he calls himself even though he is a form two drop out) and James Maina Ng’ang’a are just among the few city preachers who have been exposed to the public for their ungodly acts and what pesters me the most is that they still have die-hard church attendees! The flamboyant and glitzy bishop went further to say that she was a reactionary devil worshipper something that was ruining her life. To add salt to injury, she too was using ‘ndumba’ (witchcraft) to make her business blossom. One day, Margaret says, she was ‘touched’ when she attended a crusade and the preacher who was previously a devil worshipper condemned the act and gave his story which changed Wanjiru’s life for the better and that’s when she got saved. She decided to abandon her previous life which was covered by darkness, including her money-spinning business and decided to serve God. The rest as they say is history.